The viewer is invited to become aware of many things when presented with a work of art. The viewer may become aware of the artist who created the work, the intentions of the artist, the life of the artist, or, if this knowledge is unavailable, the viewer may simply have the valuable awareness that the work of art was created by someone for some reason. Equally valuable is an awareness of the context and content of the work. The work was created in a specific time and place, surrounded by a particular social and political context. An awareness of the time, place and context in which it is presently viewed is also important. The work itself contains many possible variables of which the viewer should be aware. The subject, and the extent of the viewer’s knowledge of that subject may be a key aspect in understanding the work. In other works, one might pay attention to the aesthetic qualities of the work, the handling of the medium, the skill in the making. Then, the viewer may gain an awareness of the many possible ways in which the work may be read, and of the effect of this knowledge on the viewer’s initial gut reaction to the work. This reaction may be influenced by what happened to the viewer just before seeing the work, the state of wakefulness and general health of the viewer, the viewer’s choice of breakfast foods, or the viewer’s varying emotions. At any one moment in the experience of viewing art, any combination of these aspects of awareness come together, and should come together, to create a holistic experience. The greatest works of art are those which appear to address, or at least to show the artist’s consideration of as many of these variables as possible. The greatest judges of artwork are those who are constantly expanding their awareness, considering as many variables as they can, so that a final judgement may, in fact, never be reached. In any stage of this expanding awareness, it might be necessary, for the sake of organization, to separate out each variable, in order to become aware of them one at a time. For this reason, some viewers may wish to separate their emotions from their readings of the work. It may be helpful to do this for the appreciation of some works, but there is a danger in this thinking, that a hierarchy may develop among the many variables of viewing, and that false sense of separation may occur between them. A common response in viewing artwork is the sense that the space in a work has meaning, both because it meant something to the artist, and because it means something to the viewer, who takes the time to look at it and respond to it. The response of finding meaning is never without emotion. Just because emotions are susceptible to change, resulting from the influence of stimuli to the mind, body and spirit, does not dismiss the fact that they are always present. They are even the cause of meaning in many works of art. Meaning is a complex interplay between the heart and the soul, and the mind and body, so that it is impossible to tell which part of you the art speaks to, or which part moves another. Art is a holistic experience. The more we know about a work, and ourselves in relation to the work, the more it means. Objective appreciation somehow eludes us in art, just as we could never claim to appreciate another human being objectively. Our response to art cannot be compartmentalized into categories of awareness, and emotion cannot be separated from the experience, because it cannot be separate from who we are. Our critical awareness of emotions is an important factor in looking at every work of art, but to believe that any experience can be devoid of emotion is ridiculous. And it is not a failing on the part of the viewer, or the even the artist, to feel emotion about a work. In many works, a separation of emotion from the experience is devastating to the meaning of the work. 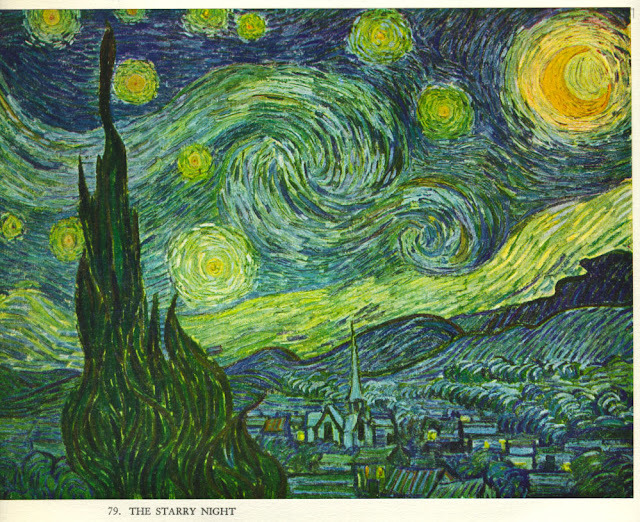 An awareness and understanding of the response evoked by Vincent van Gogh’s color and rhythm in The Starry Night is necessary to the experience of the work, but the moment we become overly self-conscious about this awareness, we lose the validity of its emotional meaning.